The latest Andrews Government Budget has continued to provide significant funding for our community. While there was very little for our community during the previous Liberal Government, in the 2017 Labor budget, schools, transport, health care and police lead the way. At Hughesdale Primary School we’ve funded a major upgrade, with 8 classrooms in a new double storey building. We’ve boosted the funding at Carnegie Primary School to build a new gymnasium for the kids and available for community use after hours, a new performing arts centre and renovating to make a modern and state of the art building for the prep students. Major works are already underway at other schools in the electorate of Oakleigh, including at Amsleigh Park Primary School and Glen Eira College. Schools locally that benefited from capital funding in last year’s budget include Murrumbeena Primary School, Glen Huntly Primary School and Clayton North Primary School. And there has also been planning for major works at Oakleigh Primary School. There will be a $10 million upgrade to Oakleigh Train Station and a $4 million upgrade to Huntingdale Train Station. This builds upon the already announced $7.6 million for the Huntingdale Bus Interchange and car park improvements. Works on this project are set to commence shortly. The works at Oakleigh Train Station will include new lifts and re-grade existing ramps and there will be DDA compliant ramps at Huntingdale. And the work to remove 9 level crossings and build 5 new stations on the Cranbourne/Pakenham line is progressing well, with completion scheduled for next year. In health, we’ve recently announced an expanded emergency department at Monash Medical Centre at a cost of $63.2 million. It will mean 34 more beds, separate treatment areas for kids and better ambulance access. The Monash Children’s Hospital was recently opened, complete with a new helipad and early in life mental health service. And a new school is coming for the hospital, to make sure kids can keep learning. 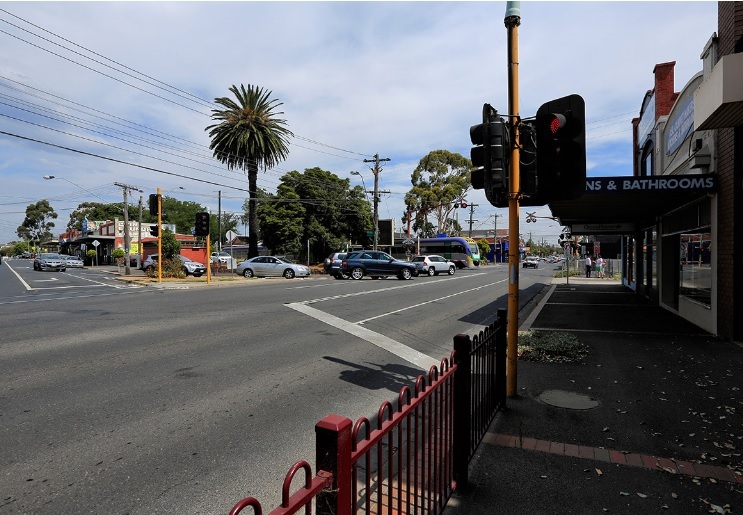 In road safety, traffic lights were recently switched on at the intersection of Grange and Oakleigh Roads in Carnegie/Ormond – a 2016 budget commitment. And works are almost complete at the intersection of Gardiner Road/Ferntree Gully Road and Forster Road in Mt Waverley. And across Victoria, we’re recruiting 3,135 more police – the biggest increase in history – that will mean more police on our local streets, more often. The latest Andrews Labor Government Budget has provided significant funding for upgrades to Oakleigh and Huntingdale Train Stations. $10 million has been allocated for works at Oakleigh, while $4 million will go towards Huntingdale. These announcements build upon the already committed $7.6 million for the Huntingdale Bus Interchange and car park improvements. Works on this project are set to commence shortly. The works at Oakleigh Train Station will include new lifts to the platforms and a re-grade of existing ramps. Huntingdale Train Station will become more accessible, including DDA compliant ramps. Oakleigh Train Station has been in need of work for many years. And while there have been some minor upgrades to Huntingdale Train Station in recent years, this plan will enable much better accessibility for all commuters. Over the last 2 years, I’ve spoken to many residents regarding the condition of both Oakleigh and Huntingdale Train Stations. As a direct result of these discussions, I’ve regularly met with the Minister for Public Transport Jacinta Allan and Treasurer Tim Pallas regarding both these projects. Minister Allan has previously visited the Huntingdale site to announce the Huntingdale Bus Interchange. And in December last year, I also had the opportunity to visit Huntingdale Station again with the Premier Daniel Andrews. It was fantastic to see that the latest budget reflected the ideas and needs of our local community. Both Oakleigh and Huntingdale Stations are amongst the busiest on the Metro train network and these works will greatly improve these gateways to our community. These upgrades are an important part of this Government’s commitment to improving the Cranbourne/Pakenham train line. Along with the 9 level crossing removals on this line, we’re building five new train stations and creating significant amounts of new open space. Click the image to access the full newsletter. A bipartisan working group on the future management of Caulfield Racecourse Reserve has provided its report to the Minister for Energy, Environment and Climate Change for consideration. In March 2016, a bi-partisan working group was established to review the implementation of the 2014 Victorian Auditor-General’s Office report into the management and oversight of the Caulfield Racecourse Reserve. The working group was also asked to provided independent advice on the future management and governance of the Reserve. As part of its investigation, the working group met a range of stakeholders and community groups who share an active interest in the Reserve. On August 21, 2016 the working group provided their report and recommendations to the Minister for Energy, Environment and Climate Change for her consideration. Labor went to the election with a commitment to remove 50 level crossings. The removal of our crossings are amongst the first. I have spoken to literally thousands of people, at train stations, in the street, in phone calls, emails and letters who just want these level crossings removed. I’ve even had conversations with people from their driver’s seat, stuck in their cars waiting for the seemingly endless trains to go by and the boom gates to go up. They had been incredibly frustrated by the inaction for many years on this issue. These thousands of people, tens of thousands all along the corridor also deserve a voice. This proposal reflects their views – and deals sympathetically with those living close to the line. We haven’t wasted any time in getting on with it. I understand that some people might not agree with the proposal, particularly those who border the track – but the designs deal with many of the issues raised – reduced noise, less vibrations, privacy screening and activation funds to maintain the new parks. The land behind the homes on the track, which is currently inaccessible will now become open parkland. There are a range of views which is to be expected of a infrastructure project of this size. This range of views has been reflected in the correspondence I have received and the conversations I have had with the community over the last couple of years – but with a key emphasis of removing the crossings as soon as possible. In the last few weeks, there have been a range of mistruths being given to the community. I’ll have a lot more to say about this, but it is clear that there is likely a political motive behind many of them. I’ll be updating the following list as needed. 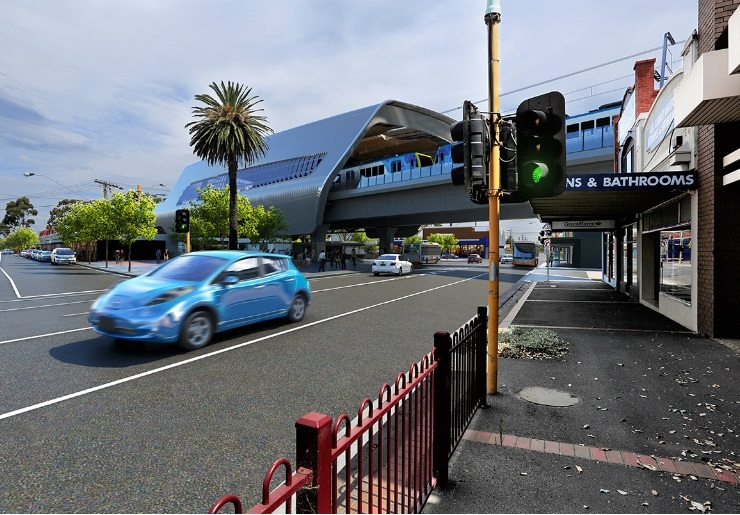 • Murrumbeena Station will be staying exactly where it is now – this has always been the case – there is no super station somewhere else – and Murrumbeena Station will be rebuilt as was planned all along. • There are more mature trees being kept under this proposal. Because of the destructive nature of open cut and the associated trenching, most of the mature trees would have been ripped out. This proposal saves many trees and plants more than 4250 trees all along the corridor. • The Caulfield/Murrumbeena Scout Hall is staying exactly where it is – there has never been any plan to remove it. Our plan has been, and continues to be retaining public amenities, increasing open space and making them more accessible. • There is no guarantee that the open cut method would not have involved long sections of deep trenches with retaining walls and high cyclone fencing – see some photos below of Springvale following the level crossing removal. These trenches – possibly for kilometres at a time – can’t be covered and would need to have long sections of high cyclone fencing. Under this method, there would be no more open space – no parklands for the community. • Noise will be reduced under this proposal. Expert acoustic modelling has shown that noise will be reduced by around 50% under this plan. This is due to the design, tracks being fitted directly to the structure and noise being directed up – not across. The method of trenching and open cut is likely to have increased noise due to the echo affect when trains go by in a trench. • Privacy of properties will be protected. Screens will be put in place where the trains pass residential properties to ensure that passengers cannot see into backyards. This is different to the current situation, where many homes are visible from the train, all across Melbourne but also on the Cranbourne/Pakenham line. The Level Crossing Removal Authority will be working directly with each resident on the line to answer any questions and deal specifically with any concerns they may have. As you know, level crossings are probably the biggest source of frustration for our local community – they waste an enormous amount of time, they cut off communities and they are incredibly dangerous. They need to be removed as soon as possible. The Andrews Government went to an election committing to remove 50 level crossings around Melbourne. This program has already started and it makes sense that our level crossings are in the first batch to be removed – they have been consistently rated as the worst or amongst the worst in Melbourne. I would like to let you know that the proposed designs for this major infrastructure package have been released. The plan will remove the 9 level crossings, including those in our community at Grange, Koornang, Murrumbeena, Poath, Clayton and Centre Roads. There will be a rebuild of stations at Carnegie, Murrumbeena, Hughesdale and Clayton. And there will be 37 new trains to increase passenger capacity by up to 42%. The suggestions and views from the community were provided to the companies bidding for the project – so that your ideas could be incorporated into the proposed design, like saving mature trees, keeping the community village feel and providing more car parking. I believe the innovative elevated rail solution in 3 sections incorporates and enhances world best design by removing ground level train tracks and creating 6 km or 225,000 square metres of new parkland and new facilities for our community. To get an idea of how big that is, it is about the size of 11 MCG’s of brand new space entirely dedicated for community use. The City of Glen Eira has the lowest amount of public open space in all of Metropolitan Melbourne. This new design significantly adds to the much needed open area for our community. And it does so by creating a modern design without the loss of other amenities. These designs connect communities by opening up areas on and around the tracks that are currently no go zones – supposedly off limits to the public but still dangerous, dirty and full of graffiti. There will now be greater visibility and night lighting. And the proposal includes parallel but separated tracks, meaning the parkland will have plenty of sunshine and rain. The new designs will mean that there is no need for destructive long trenching that would continue to separate communities along the line. There will be significantly less noise, disruption and dust during construction – given the 75 thousand less trucks movements that would have been needed to excavate the area. This would have meant hundreds of trucks each and every day for months on end in our community. And these innovative plans mean there will be a lot less time disruption during construction for vehicles, pedestrians, commuters and residents because the new line can be built while the existing line is still running. The plans also show that there will be a 50% reduction in noise compared to the current situation of trains at ground level. This is due to the brand new construction, directly fixing tracks to the structure and noise walls put in place to ensure noise travels up – not down or across into properties. And of course, there will be no need for the constant train horns or the ringing of level crossing boom gates at all hours. In addition, there will be privacy provisions – meaning that train passengers won’t be able to look down into the backyards of properties as occurs in many places currently on our line. And for those bordering the train line, properties may now have access directly to open parkland from their backyards if they choose to. Individual properties directly abutting the train line will be contacted directly by the LXRA with experts available for any questions. So while the privacy issues and noise concerns have been addressed, the LXRA will be working with all residents directly abutting the line. In fact each of these properties will be allocated a dedicated case manager to work through any queries they may have and advise of any additional provisions that may be needed. The new train stations will be fully accessible, weather protected buildings which allow for village spaces underneath, better parking and bus interchanges as well as opportunities for some retail, like cafes. There will be more parking for commuters and for local shoppers. Shops and businesses which would have been at threat of demolition by other designs, like those in Neerim Road Murrumbeena will be retained. This will help to keep and even enhance the village feel of our shopping areas – this is incredibly important for our community. Lots of mature historic trees will be saved compared to other construction methods, and over 4250 new trees will be planted. The designs also show that all existing parkland and community facilities bordering the corridor are not only protected, but will allow easier access for all the community. Further significant consultations will occur in the coming weeks where you will have the opportunity to have your say. So let the LXRA know what you think of the overall design and what you would like to see as part of the crossing removal program. Options for the brand new parkland might include sports areas, ponds, native flora, picnic and BBQ spaces, pop up shops or even room for weekend community markets. But that is entirely up to you, so please do make a contribution. However, as I have said previously, feel free to let me know your views and I will be only too happy to pass on your thoughts and suggestions to the LXRA and the consortium. There have been hollow promises in the past, but until now, no money has ever been allocated to complete the removal our level crossings. This is the first time we have seen detailed plans and are on the cusp of construction. Removing level crossings continues to be one of the key priorities of this government. Doing so in a totally innovative design which creates parkland from dirty, dangerous and graffiti ridden no go zones is something I believe will enhance the reputation of Melbourne and our community. I have provided a list below of many of the community consultations conducted by the Level Crossing Removal Authority since the middle of 2015 regarding the proposal for the Cranbourne/Pakenham line. Although this list is extensive, it does not include the many hundreds of one on one consultations with individual residents and businesses. The announcement of the proposed design for the 9 level crossing removals on the Cranbourne/Pakenham line will be made very shortly. Following that you will have even more opportunity to get involved in the process and have your say. Visit www.levelcrossings.vic.gov.au for more information or to sign up for updates. 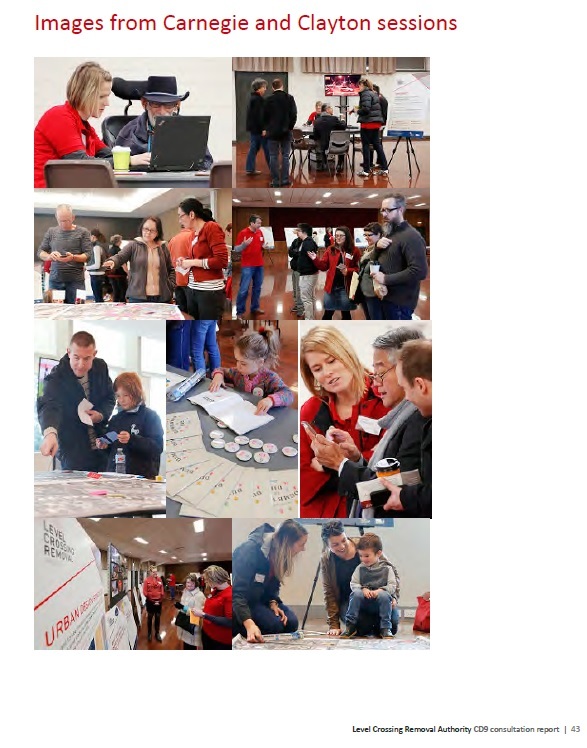 Over 1500 pieces of community feedback were received throughout 2015. The proposed design for the level crossing removals will be announced in the next few weeks. While I am not in a position to provide final details of the plan until it is announced, I can say that following the announcement the community will have the opportunity to make a contribution to the proposed design during a series of local consultations. Residents, businesses and other stakeholders will be able to provide feedback on localised elements of the design put forward by the successful tenderer, like the areas surrounding the rail line and stations as well as other amenity issues like parking and community access. I’d encourage those interested to attend one of these consultation sessions to submit feedback. I have appreciated the views and suggestions that have been raised with me directly regarding the possible outcomes for the design of the level crossings removals. I understand that with any major project there will be a variety of different opinions on what the best outcome for our community will be. All views raised with me will be provided to the successful tenderer to ensure the community’s voice is heard. Just as a way of background, construction to remove 9 level crossings on the Cranbourne/Pakenham line is due to start around the middle of this year. Construction is already underway to remove Frankston line level crossings at North Road, McKinnon Road and Centre Road, and the nearby Burke Road crossing has just been removed. These crossings have been a major source of frustration over countless years. I am thrilled that they are finally being removed. In addition, 37 brand new trains are on order for this line to increase passenger capacity by up to 42%. The 9 level crossings on the Cranbourne/Pakenham line are scheduled to be removed by 2018. Across Melbourne, 50 level crossings will be removed over the next 7 years. • The controversial proposal involved the effective privatisation of the line and the removal of just 4 level crossings and the rebuilding of only 3 stations. Poath Road and Grange Road level crossings were not to be removed as part of this plan, nor were another 3 further along the line. 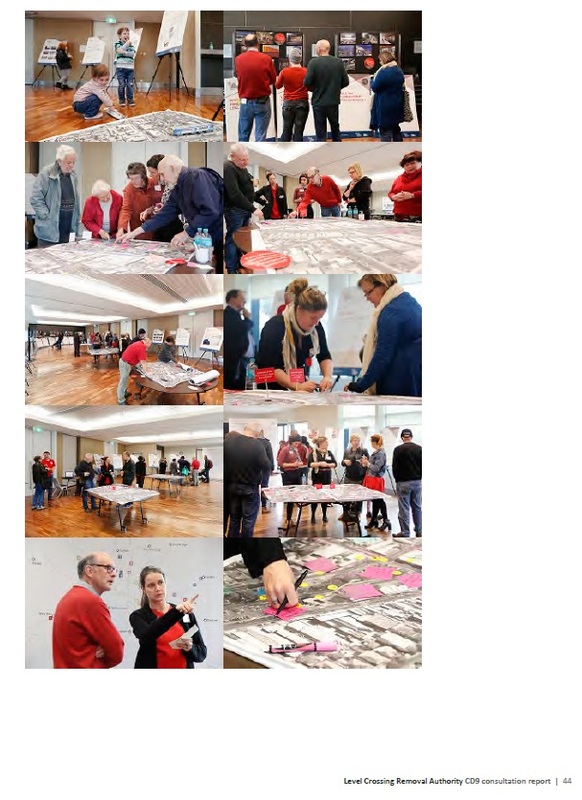 • The private consortium held several public meetings around Murrumbeena and Carnegie to show locals their initial very early concept design which was rail under road. • The then Napthine government had a deadline of end of September 2014 for the signing of the contract – this deadline was missed. • The Transport Minister made it clear in his press release that the designs for removals had not yet been determined. The Minister indicated a promise to deliver just the 4 level crossing removals by “around” 2019 subject to the evaluation process. • The proposal from the private sector with the reported $5.2 billion in payments commencing in 2019, had no money allocated in the Victorian budget to complete the removals of the level crossings on the Cranbourne/Pakenham by the previous Napthine Liberal Government. A multibillion-dollar upgrade of the Dandenong railway line is in disarray after the Napthine government said on Friday it would not sign contracts with the consortium delivering the project until next year. The government’s admission that it could not commit to the project before November’s election puts in doubt a string of promised improvements to Melbourne’s busiest railway corridor, including 25 new “high-capacity” trains, four level crossing removals, three rebuilt stations and new signalling technology. It would deliver capacity for 2 million extra passenger journeys a year on a line that suffers chronic overcrowding. Labor has refused to commit to the project, arguing there is too much secrecy and uncertainty about how it would be delivered. • Daniel Andrews announced that Labor had developed a more comprehensive plan to remove 9 level crossings on the line, rebuild 4 train stations, upgrade signalling and purchase 37 new trains just for the Cranbourne/Pakenham line. He made it clear that this was a completely new plan. • Over a number of months in 2015, a series of community consultations were conducted by the Level Crossing Removal Authority to better understand the needs of local residents, commuters and traders. • The Community Tender Advisory Panel – CTAP – was established to provide for key community and stakeholder involvement in the tender process. Meetings of this group were conducted in addition to the wider community consultation outlined above. The CTAP comprised of residents (including residents directly abutting the railway line), business and industry groups and local stakeholders. This committee provided valuable input into the tender process. • Expected announcement of the proposed design followed by further local community consultations. Major projects such as these generally require a range of different options to be investigated, such as rail over road, rail under road, road over rail and road under rail. There are also a number of technical issues and limitations that need to be considered for each possible design including delivering the project in a timely way and working with existing local infrastructure, major underground cabling and pipes and the local water table. The following is a link to the community consultation report which details many of the issues raised locally. What this report makes clear is that there are a range of different views in the community regarding the design of level crossing removals, including but not limited to whether the removal of level crossings is achieved by lowering or raising the rail line. I do appreciate that many people in the community will have strong views on their preferred outcome and there will be a need to incorporate many of the ideas and suggestions from the community in the final design – I will be working hard to make sure this occurs. The Cranbourne/Pakenham line upgrade is one of the most significant infrastructure projects in Victoria’s history. It has required major planning over the last year to ensure safer and more connected communities, to minimise local disruption and provide state of the art transport and urban design outcomes. I look forward seeing the removal of the 9 time wasting and dangerous level crossings as well as the newly rebuilt stations at Carnegie, Murrumbeena, Hughesdale and Clayton. I know that this long overdue project will deliver an enormous boost to our entire community. The Early Years Centre, for use by students in Prep to Year Two, is a collaborative learning space the school created by refurbishing an old storage building. The Centre features fantastical elements to engage students in their play and learning, including an indoor tree large enough for kids to sit inside. The Dream Space creates a stimulating outdoor learning environment for students to use both during class time and play time. The space combines natural elements with play equipment, including a balcony for school performances, garden beds and a gigantic stone snake. Students were involved throughout the development of the Dream Space: from the planning and design stages through to planting out the garden beds with native plants. The Early Years Centre and Dream Space are the latest projects in the modernisation of the school’s facilities. The Victorian Government contributed $130,000 to the projects. The 2015-16 Victorian Budget invests close to $4 billion in Victoria’s education and skills system – representing the single biggest boost to education funding in Victoria’s history. The Budget provides $325 million to renovate, refurbish or rebuild 67 schools. It will fund the first stage of an extensive asbestos removal program so that families can be assured their children are being educated in safe schools. It also includes $180 million for programs that will help families cover the extra costs of education, like camps, excursions and uniforms, so no child misses out. For Victoria to become the Education State, it is vital that all Victorians join in the Education State consultation and share their ideas and aspirations for our education system. Head to www.educationstate.education.vic.gov.au to join in the conversation. The Andrews Labor Government is rebuilding Amsleigh Park Primary School and giving its students the best start in life. Minister for Education James Merlino today visited the school, in Oakleigh East, to officially announce the $5.7 million modernisation. The $5.7 million funding, secured in the 2015-16 Victorian Budget, will upgrade teaching and learning spaces. The Budget invests close to $4 billion in Victoria’s education and skills system – representing the single biggest boost to education funding in Victoria’s history.